Under Construction. Brand New David Weekley Home! 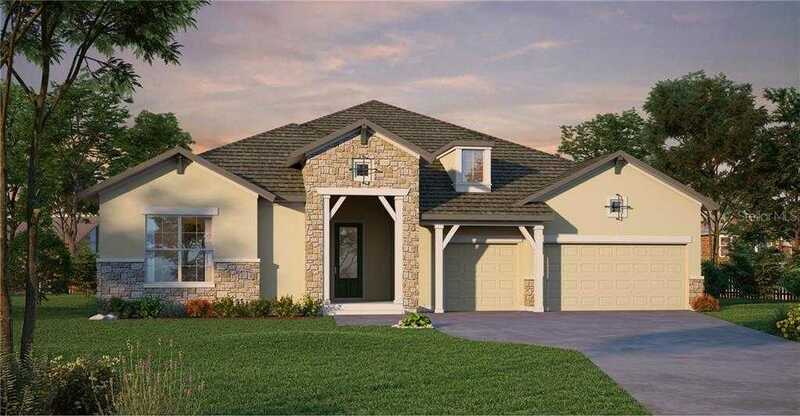 Located in the new community, Bexley in Land O Lakes, FL. Developed by Newland Communities. This home is the Boulevard floor plan which consists of 4 bedrooms, 3.5 baths, and 3-car garage. It 8217;s carefully crafted to create the perfect blend of form and function that you would expect from a David Weekley Home. When you step into the front door you are greeted by a large beautiful foyer with sightlines to the back of your home to give you that big feeling throughout your house. Bexley is a natural gas community, so the chef in the house will appreciate the gourmet kitchen with 36 8221; cooktop with stainless steel vent hood, built-in wall oven and microwave, and beautiful upgraded quartz countertop. The Owner 8217;s Suite is the gem of the home, with a massive walk-in shower and huge closets that would make even the biggest shopaholic smile with excitement. Bexley features a state of the art amenity center which will have an on-site caf 233;, and a fully staffed bike shop. Additionally, you will have access to approximately 1,200 acres of wilderness preserve, parks, and extensive trails made by Avid Trails which will eventually connect to the 42-mile long Suncoast Trail System. Homes’ list price includes employee pricing discount. No further discounts to be applied to sales price. 13; 13; Bexley is conveniently located off SR54 next to the 589 (Suncoast Pkwy) which gives access to the Tampa Airport and Downtown Tampa in less than 30 minutes. Please, send me more information on this property: MLS# T3153165 – $529,003 – 16584 Chord Dr, Land O Lakes, FL 34638. I would like to schedule a showing appointment for this property: MLS# T3153165 – $529,003 – 16584 Chord Dr, Land O Lakes, FL 34638.